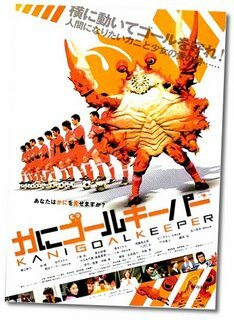 In a spectacular move for a World Cup year, soon to be released in Japanese theatres (and DVD) is an incredible tale of a giant footie playing Crab. 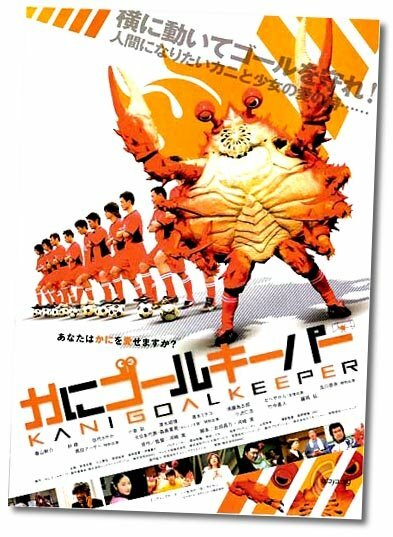 The footballing shellfish also mixes a mean cocktail and comes with a bonafide pedigree from the director of Calamari Wrestler, Executive Koala and Kabuto-O Beetle. All we need now is to find a similarly talented Sea Horse or Lungfish who can replace our beleaguered Roonster and England will be sorted for Germany. Official website for KANI GOALKEEPER here, plus the trailer in realvideo here. 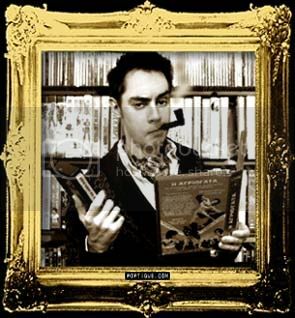 Via Twitch and Kung Fu Cult Cinema.